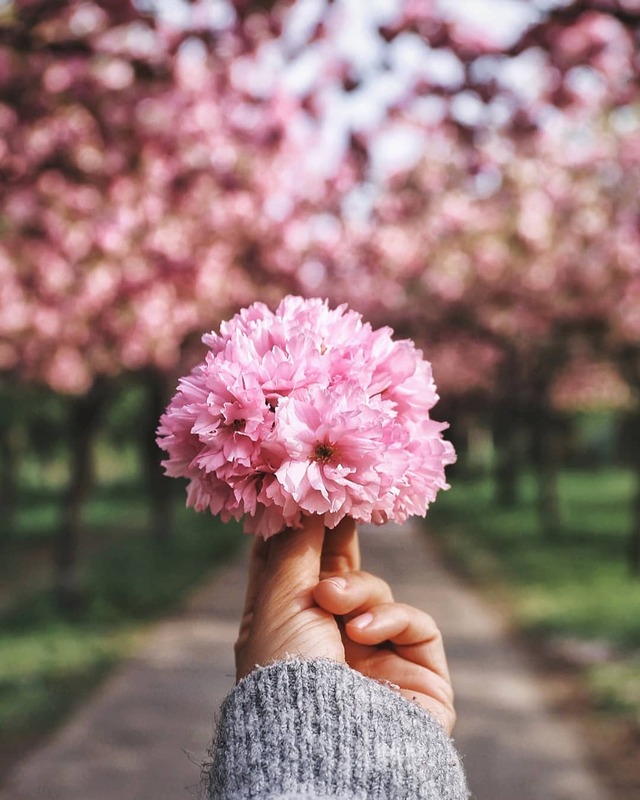 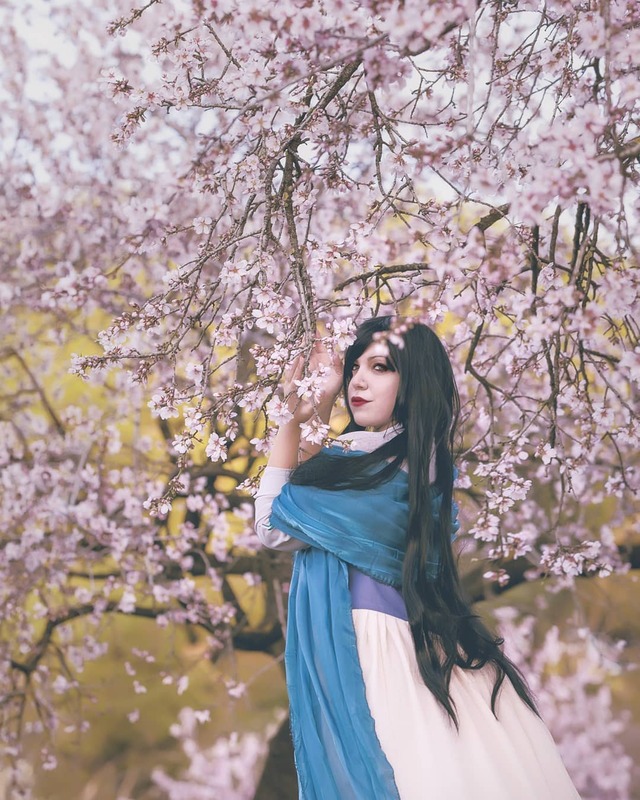 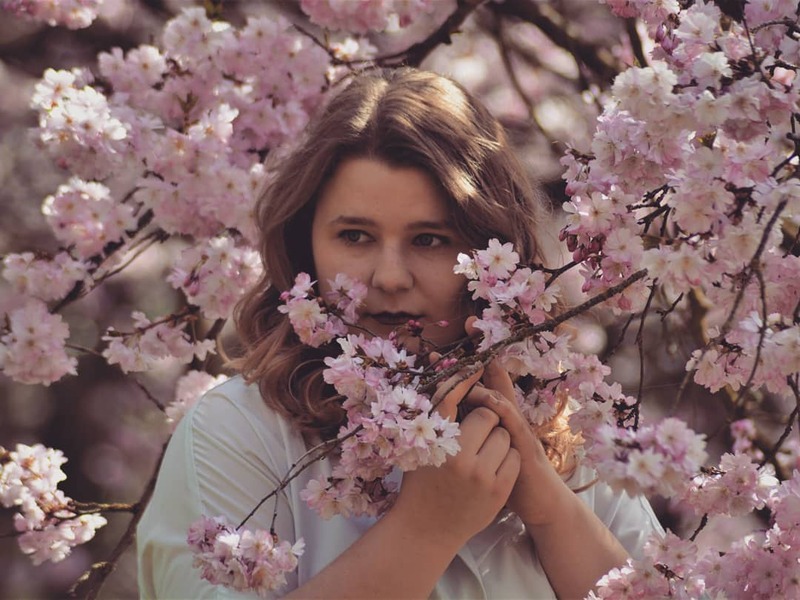 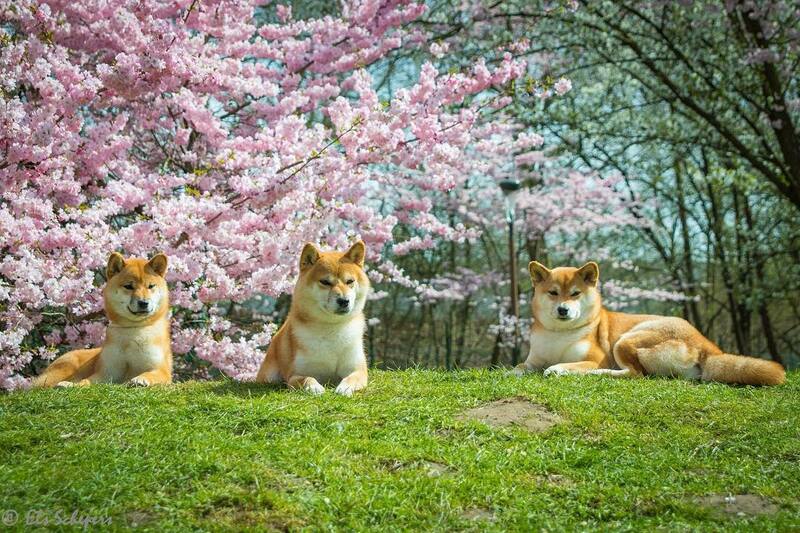 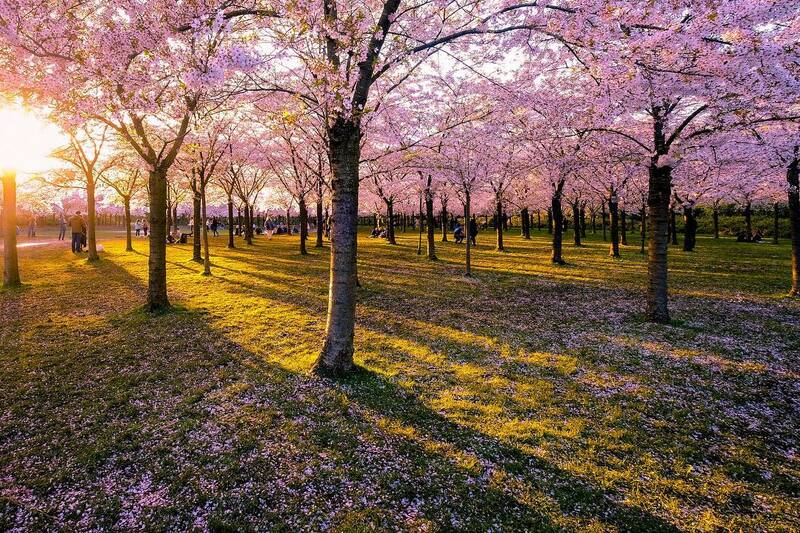 A cherry blossom is the flower of any of several trees of genus Prunus, particularly the Japanese cherry, Prunus serrulata, which is called sakura. 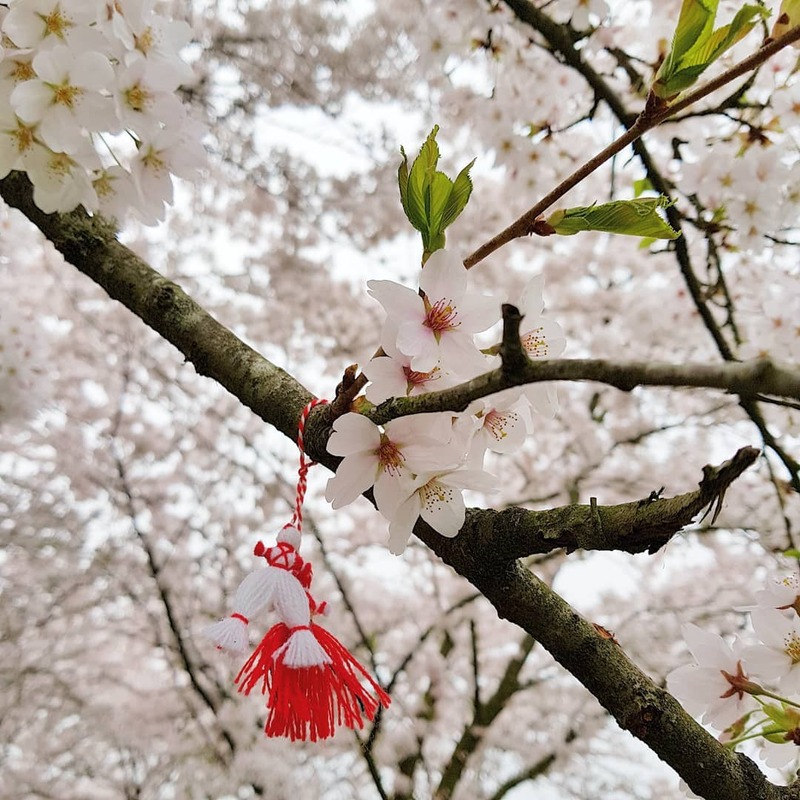 Hanami is the Japanese traditional custom of enjoying the transient beauty of flowers; flowers (“hana”) are in this case almost always referring to those of the cherry (“sakura”) or, less frequently, plum (“ume”) trees. 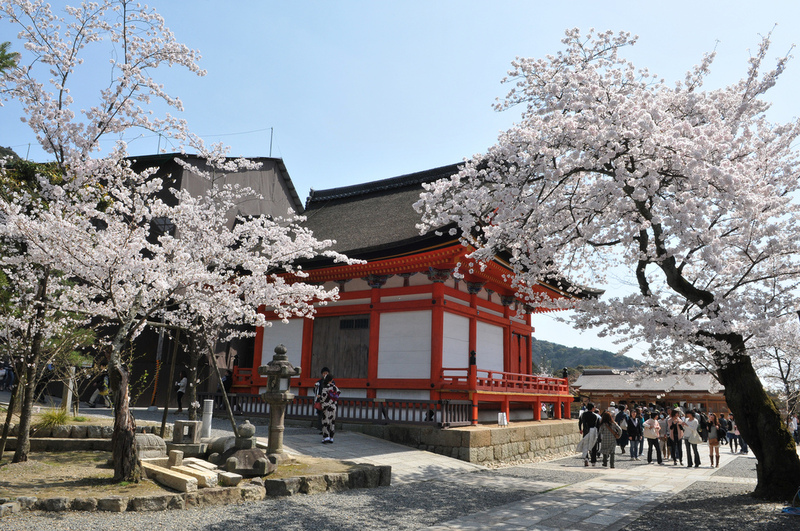 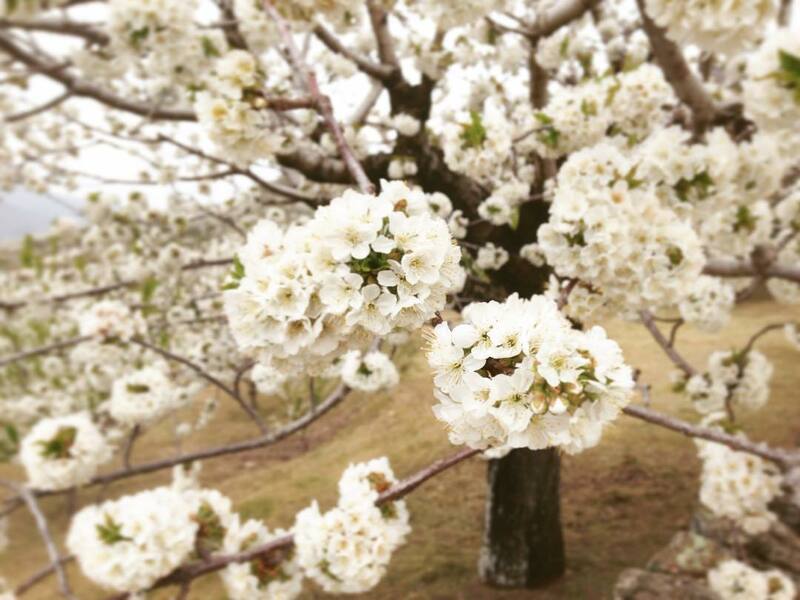 From the end of March to early May, cherry trees bloom all over Japan, and around the first of February on the island of Okinawa. 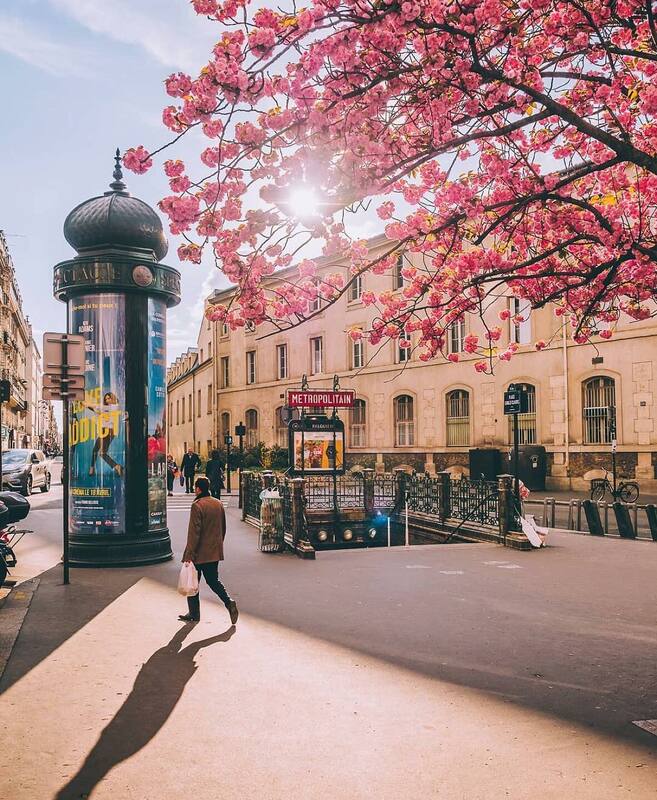 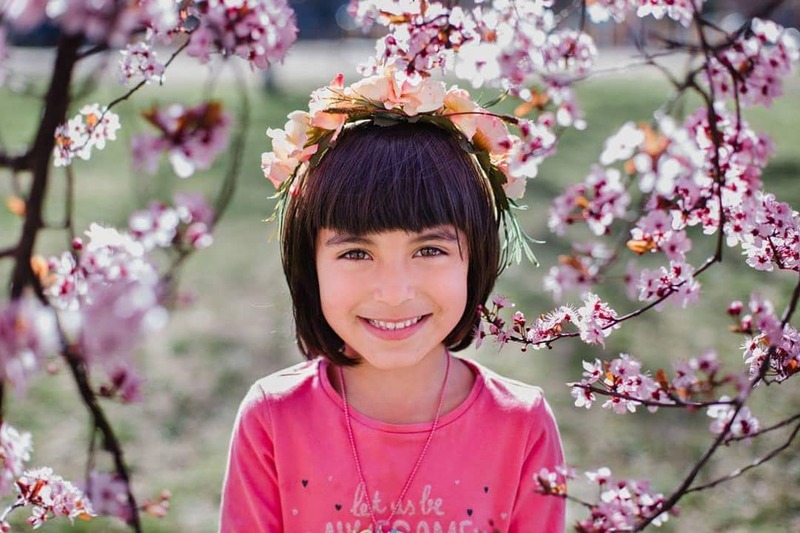 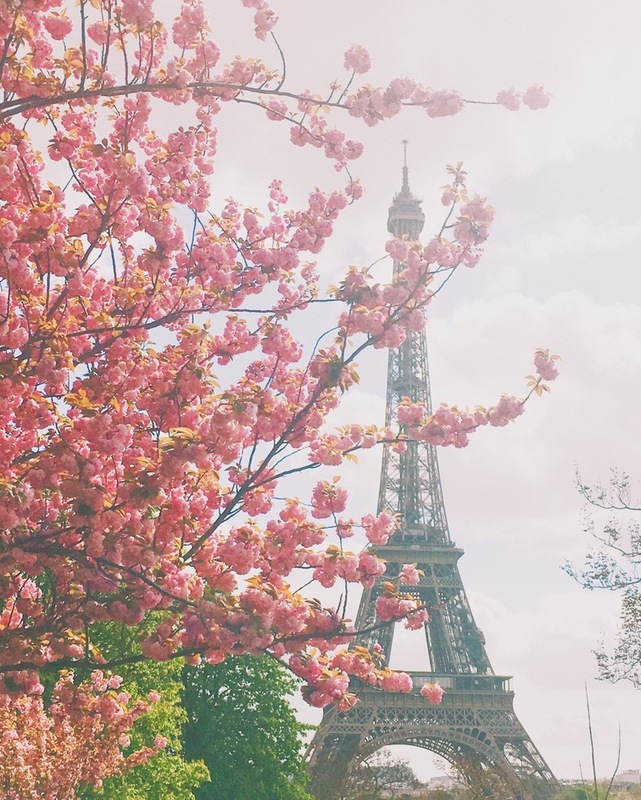 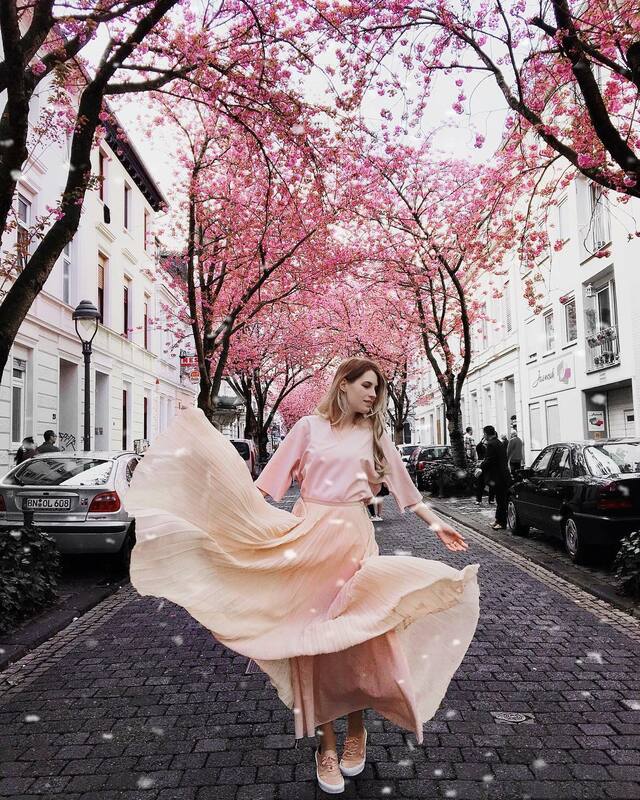 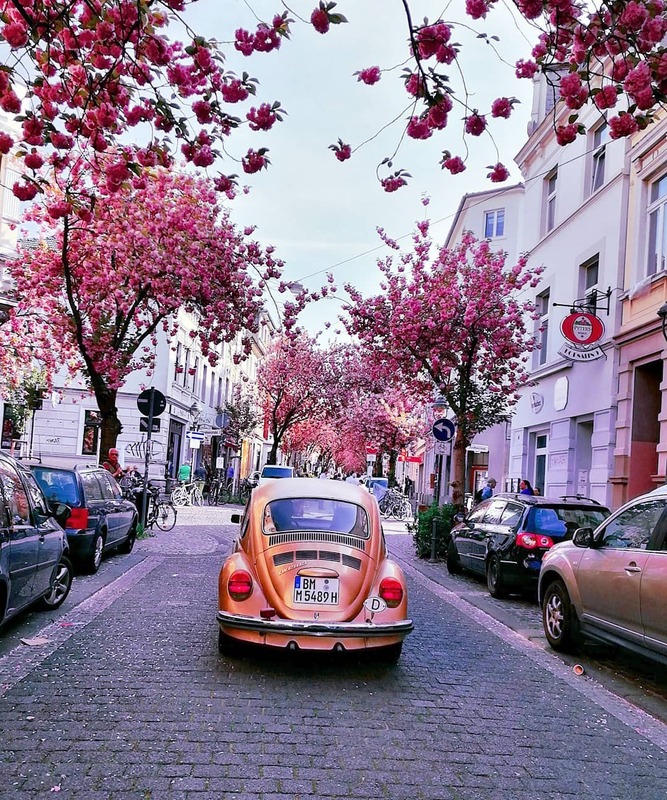 In spring, European cities are tinged with wonderful colors and sometimes with oriental nuances like the ones of cherry trees. 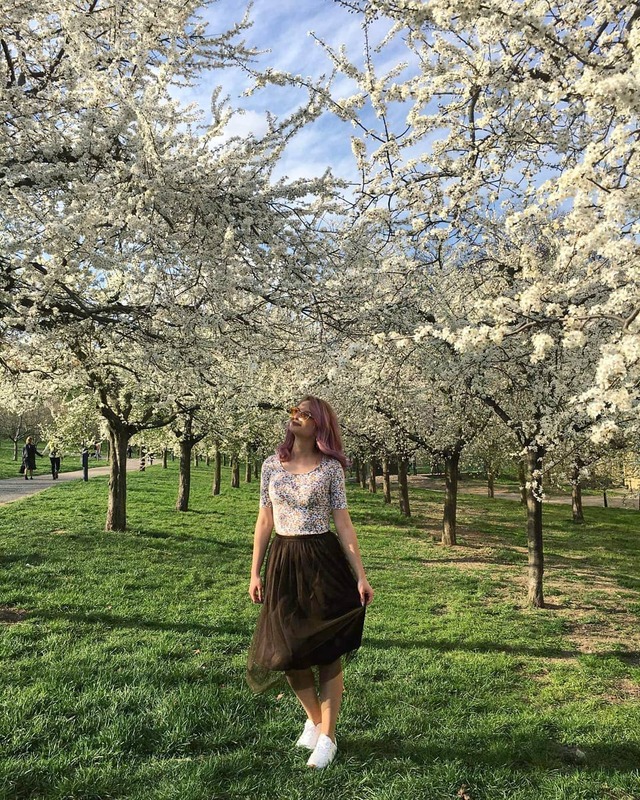 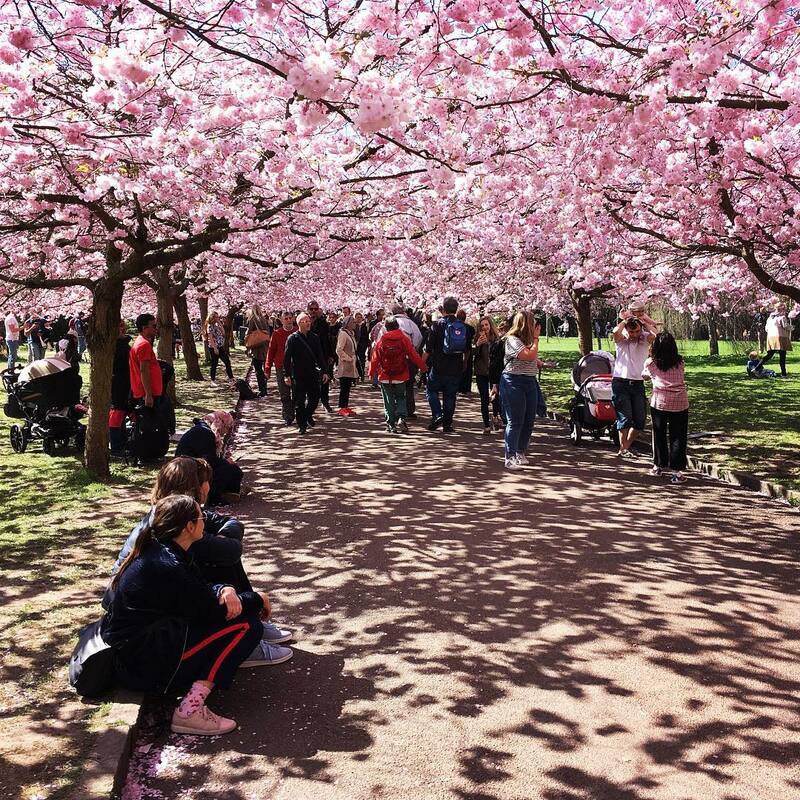 If you cannot travel to Japan (land of cherry blossoms) at the moment, you could surround yourself with cherry trees in some European cities. 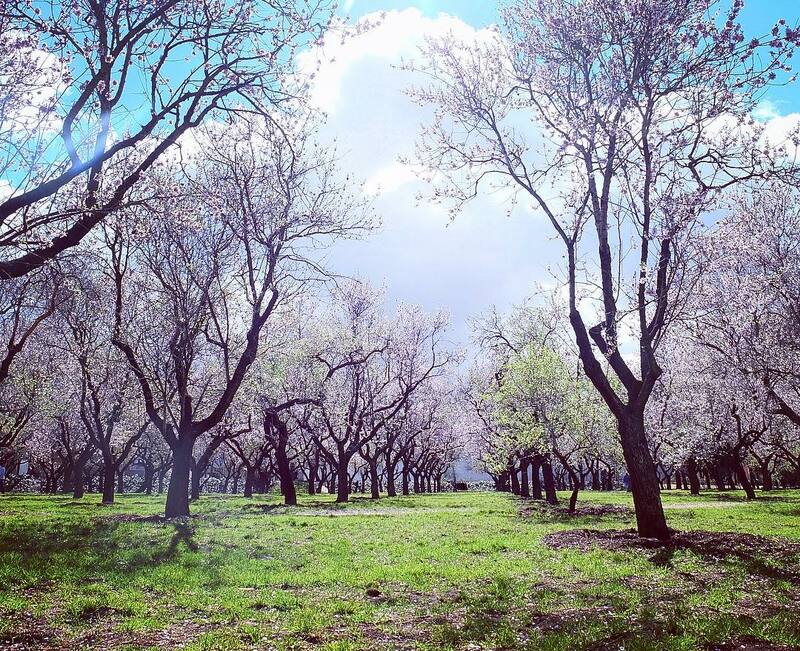 Jerte Valley – Extremadura will be decorated with more than two million cherry trees during the spring season. 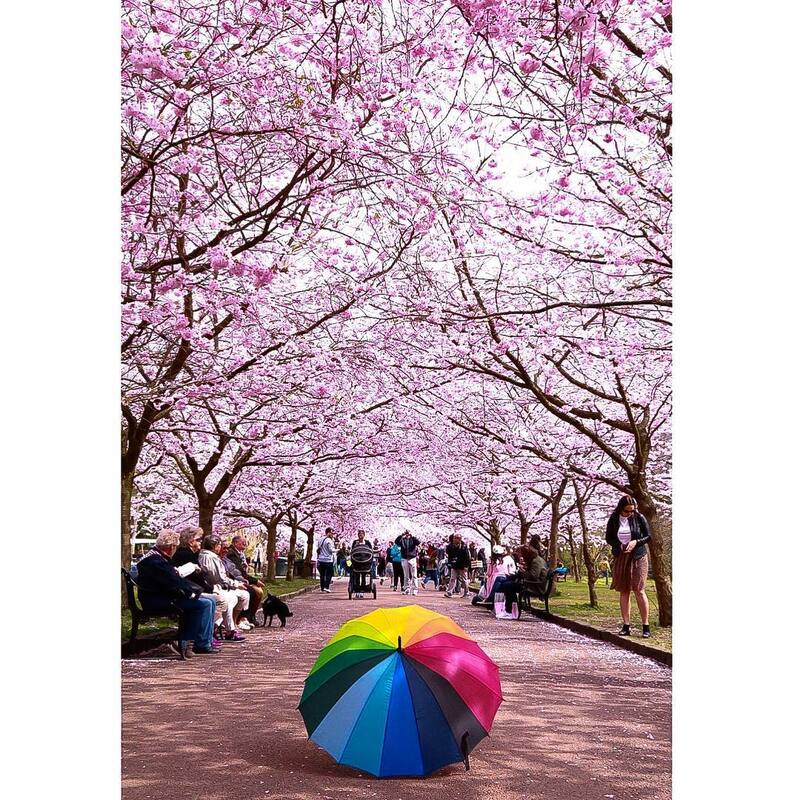 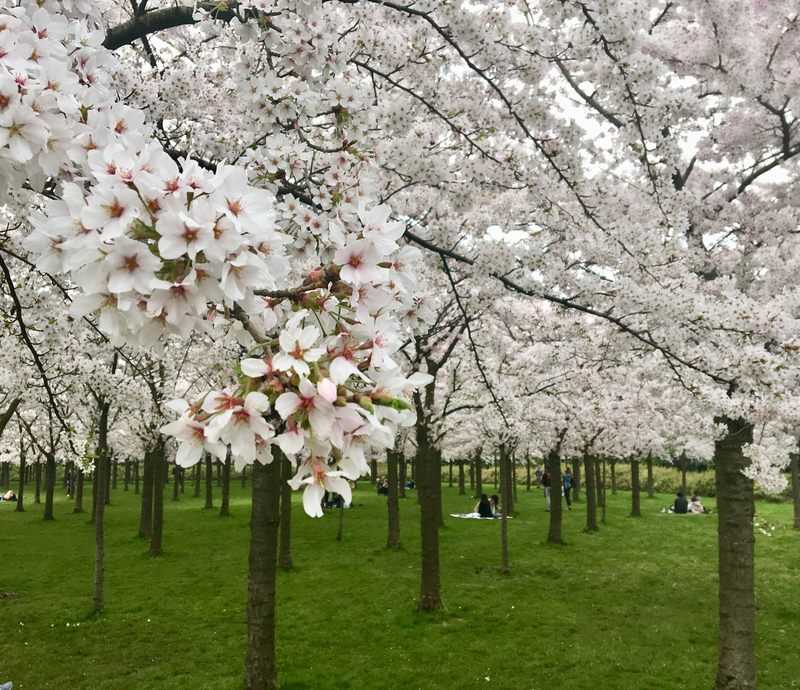 Kersenbloesempark (Cherry Blossom Park) at the Amsterdamse Bos is the best place to see cherry trees blossom in Holland. 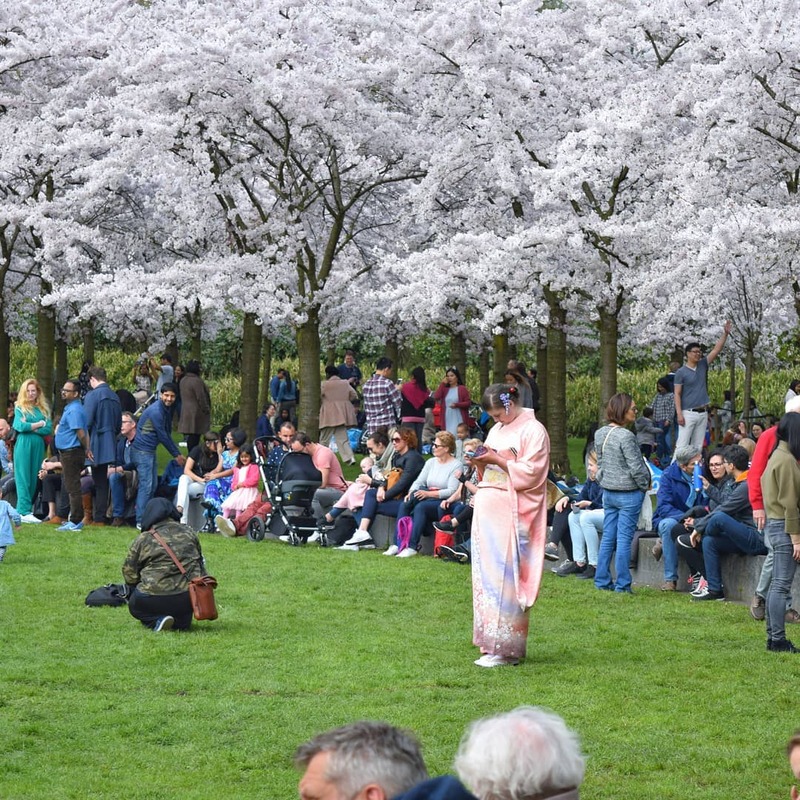 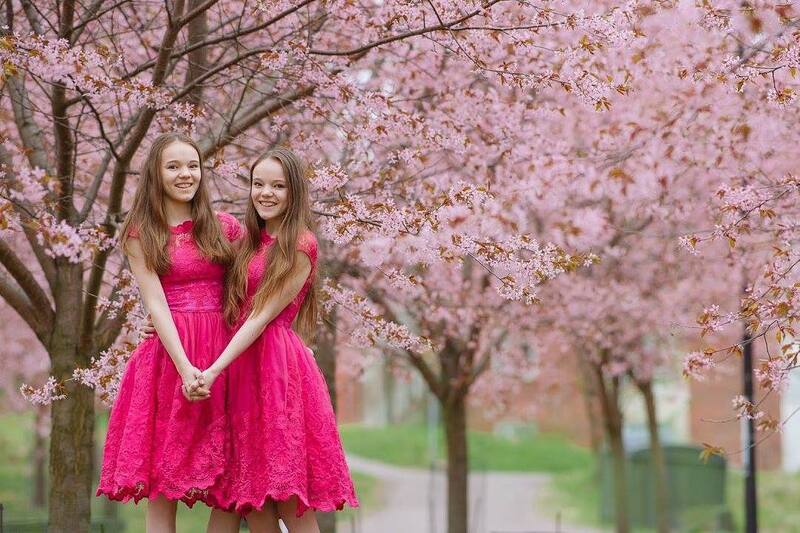 The 400 sakura that trees stand at the Kersenbloesempark were a gift from the Japan’s Women’s Club (JWC) in 2000. 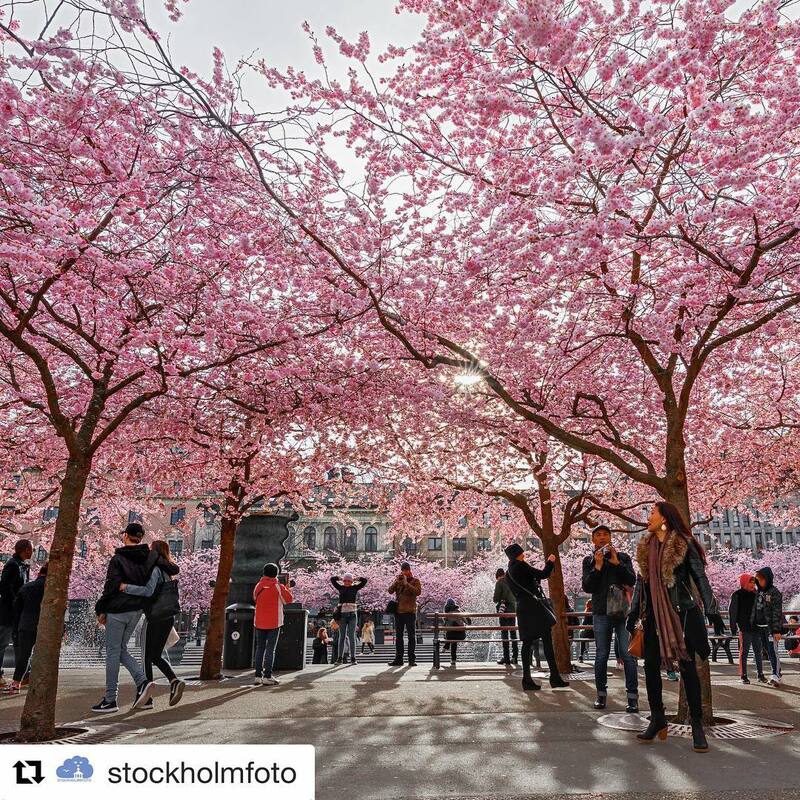 In Stockholm, Kungsträdgården (“The King’s Garden”) is known for its central location and numerous cafés. 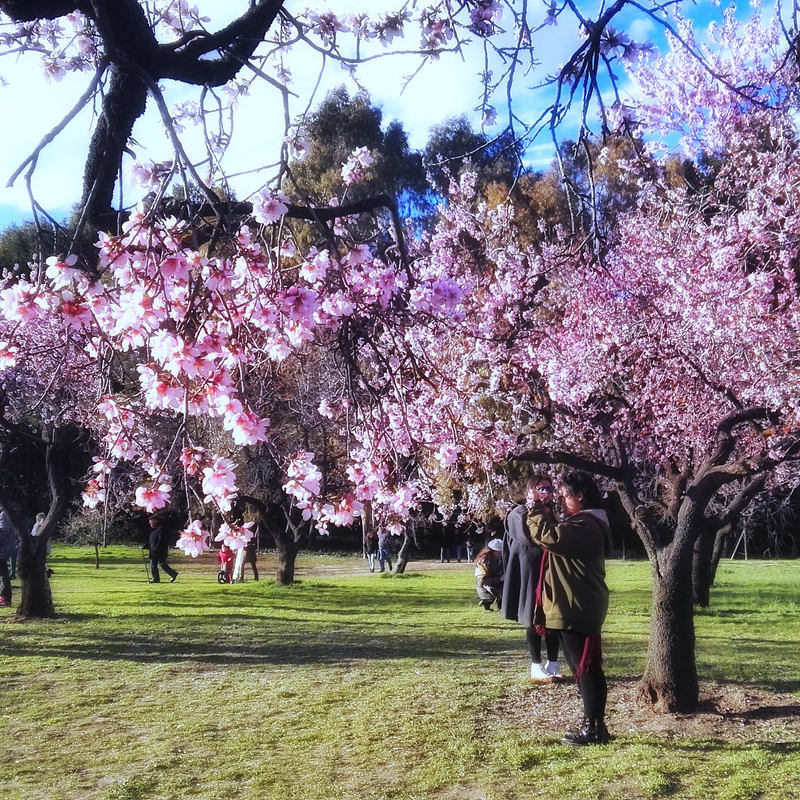 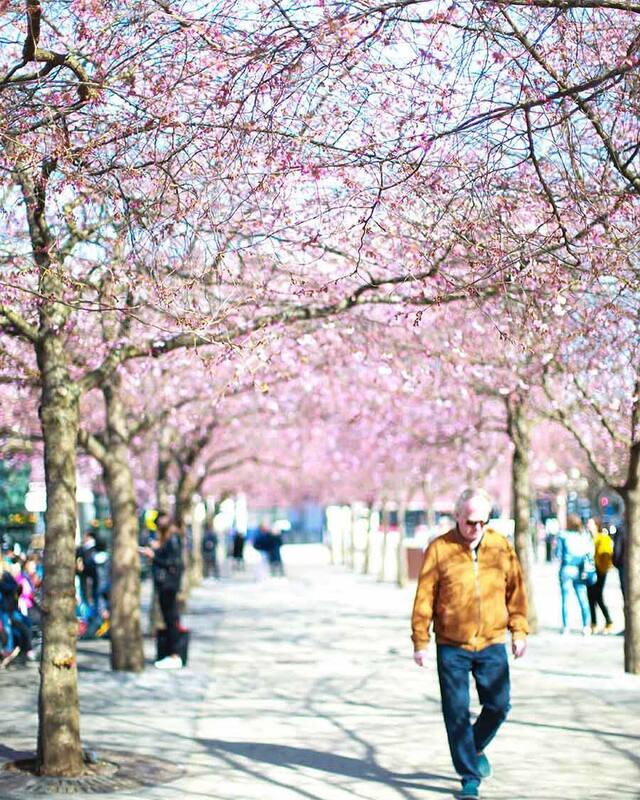 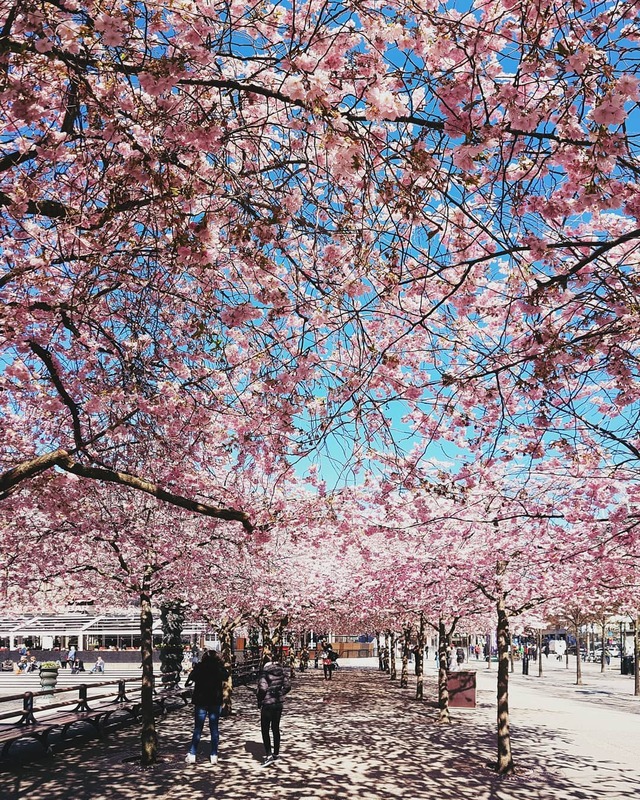 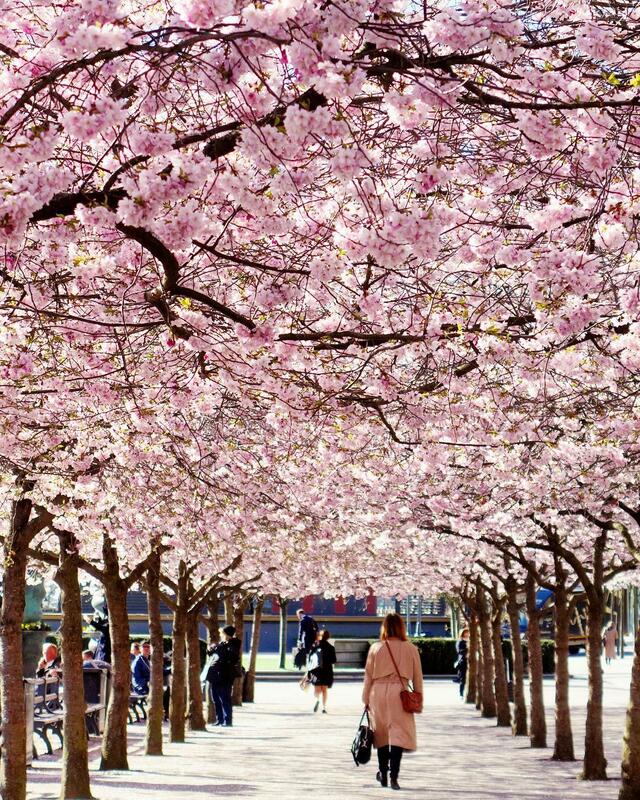 Come spring, the park’s 63 cherry trees and their interlocking blossoms make the space even more beautiful. 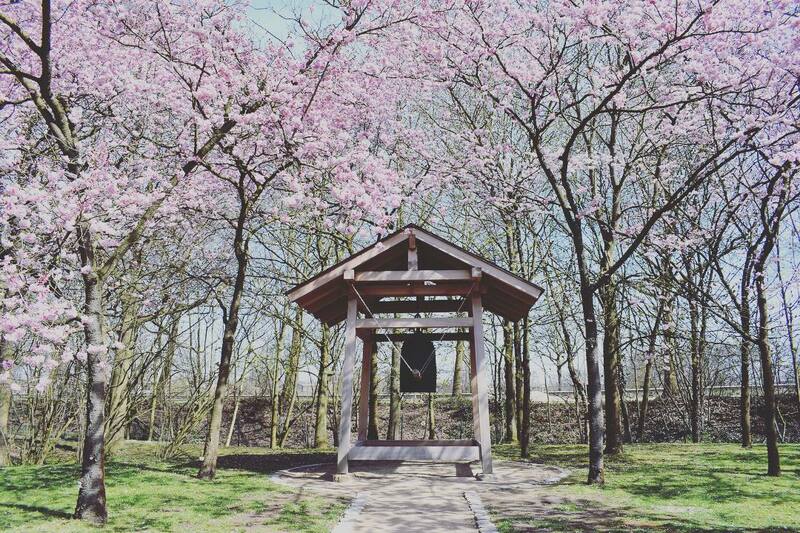 The Hasselt Japanese Garden is an ideal place to walk around, while enjoying the views and listening to the softly flowing water. 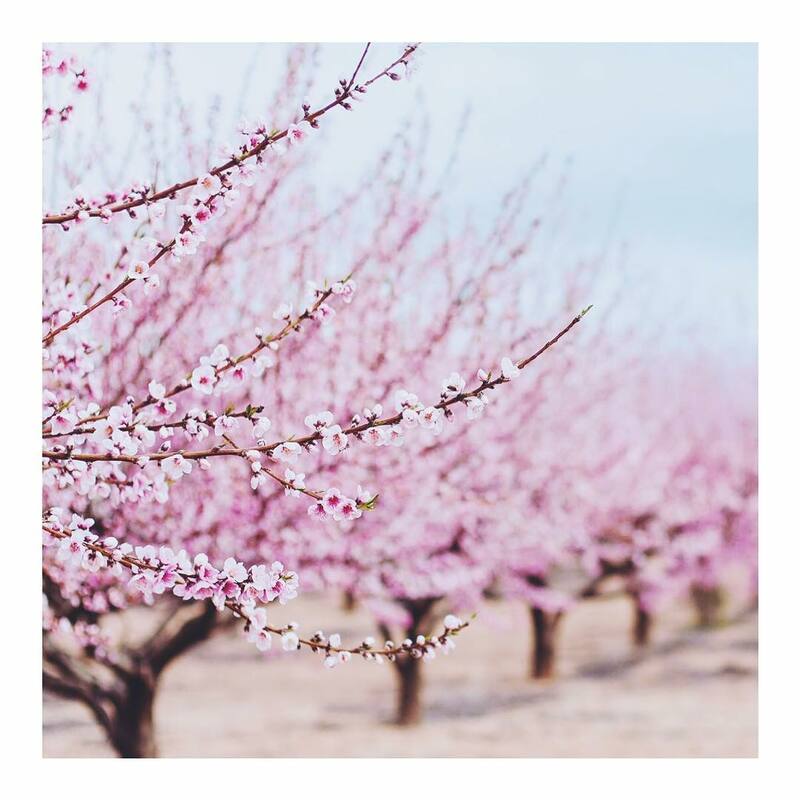 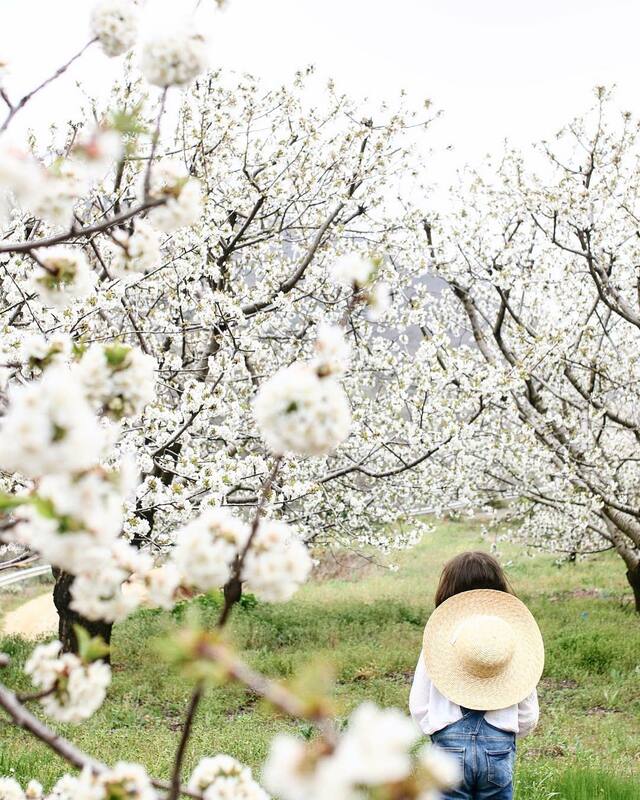 The 25-hectare park has hundreds of almond trees, and also olive groves, pines, and eucalyptus. 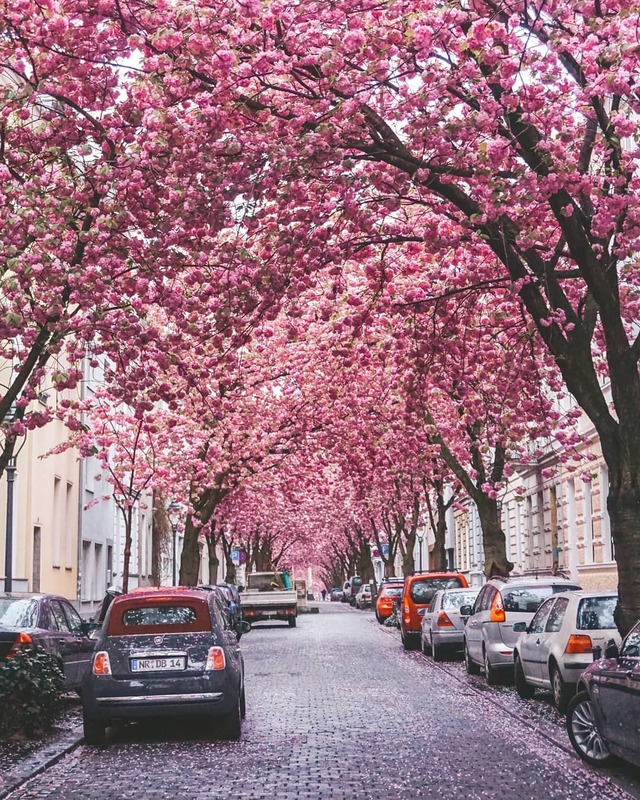 Earning a place on “Top 10 Most Beautiful Tree Tunnels In The World”, Bonn’s Heerstrasse in the Nordstadt neighborhood is also known as “Cherry Blossom Avenue”. 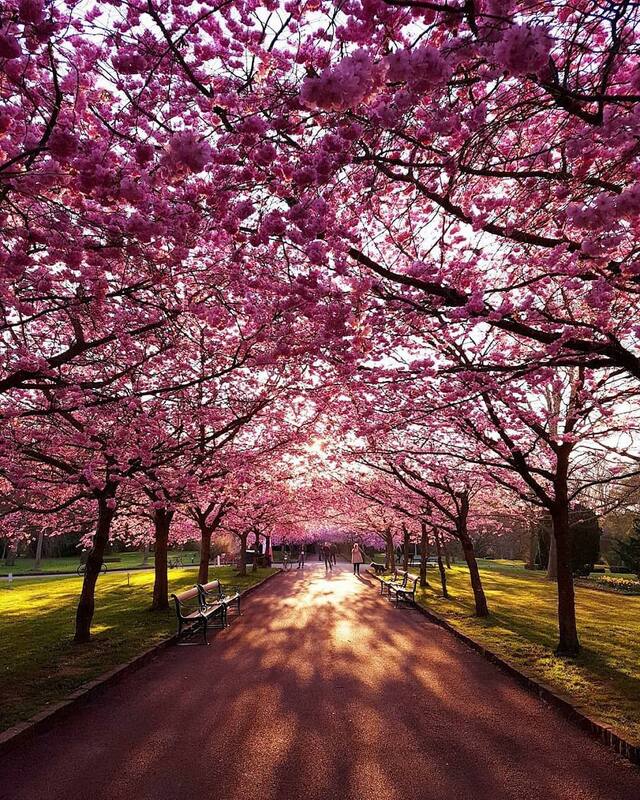 The long limbs of the trees are weighed down with blooms, creating a tunnel-like canopy. 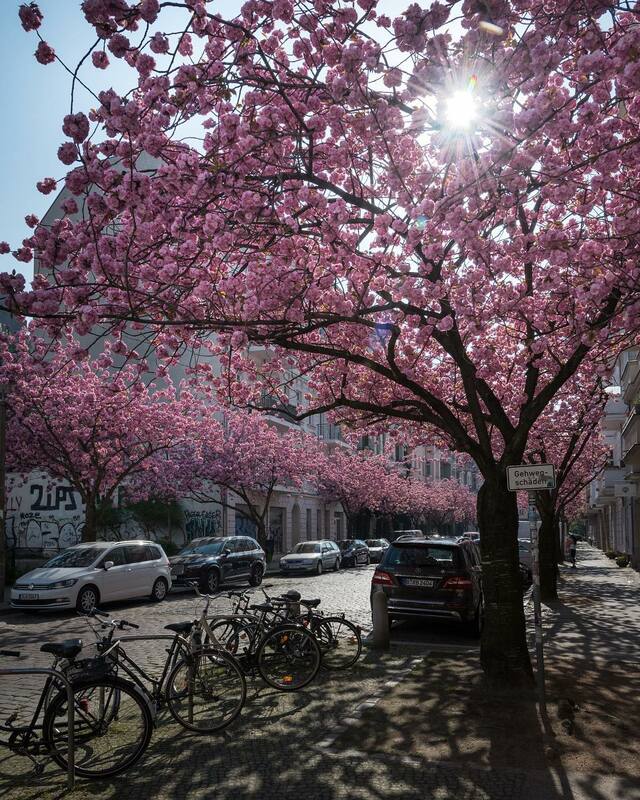 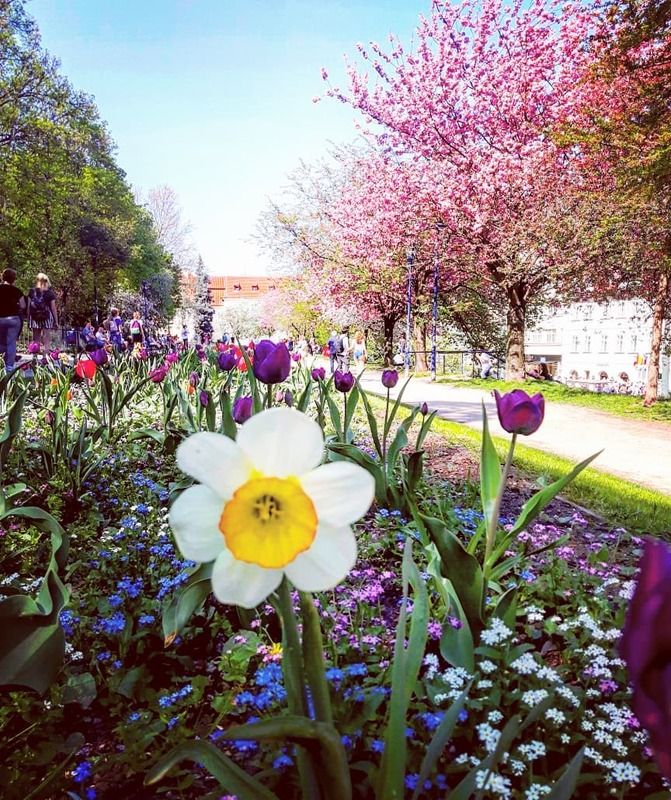 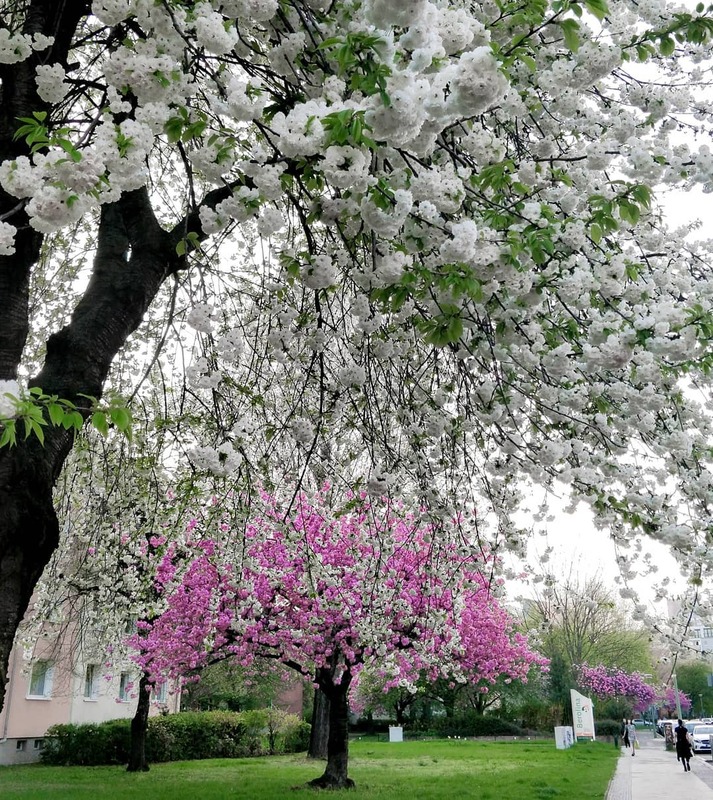 Largely part of the Sakura Campaign, 9,000 trees were planted around Berlin and Brandenburg starting in November 1990 – shortly after reunification and in the wake of the Berlin Wall. 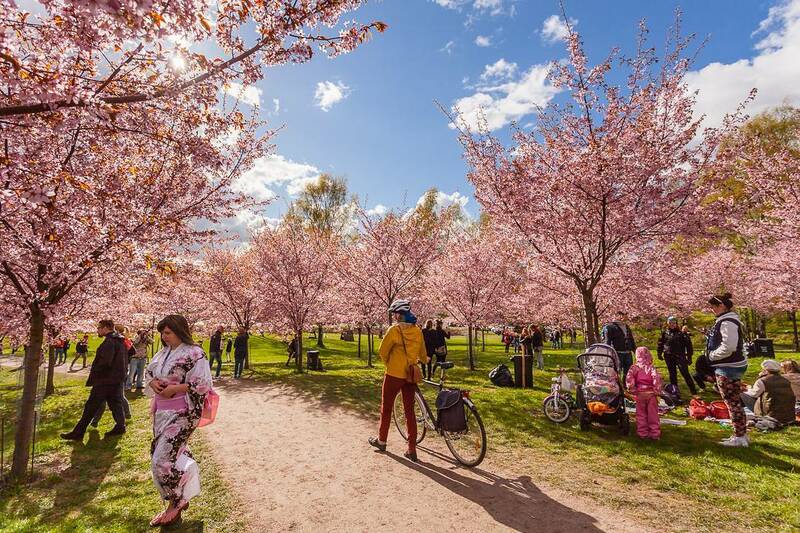 Kirsikkapuisto Cherry Park, Sakura Park beneath the Roihuvuori water tower, has 152 cherry tress which were planted on World Environment Day in 2007. 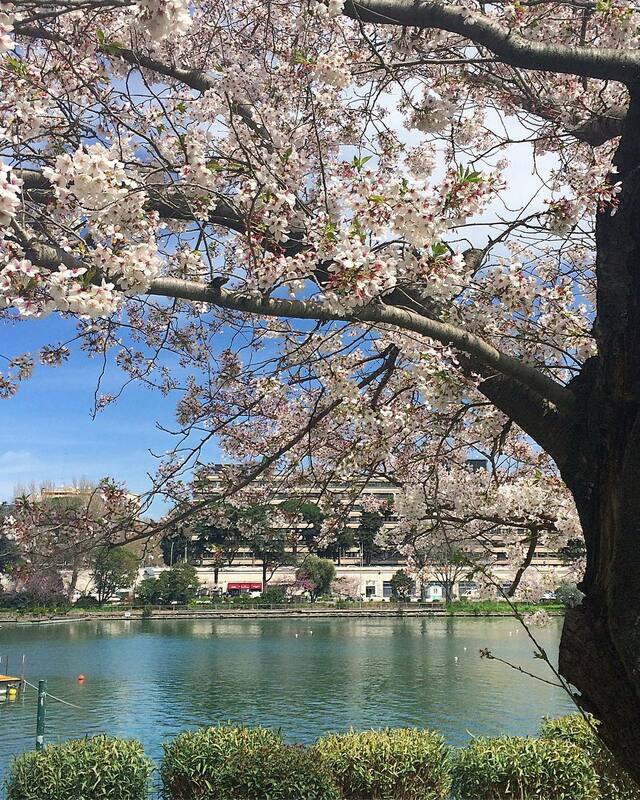 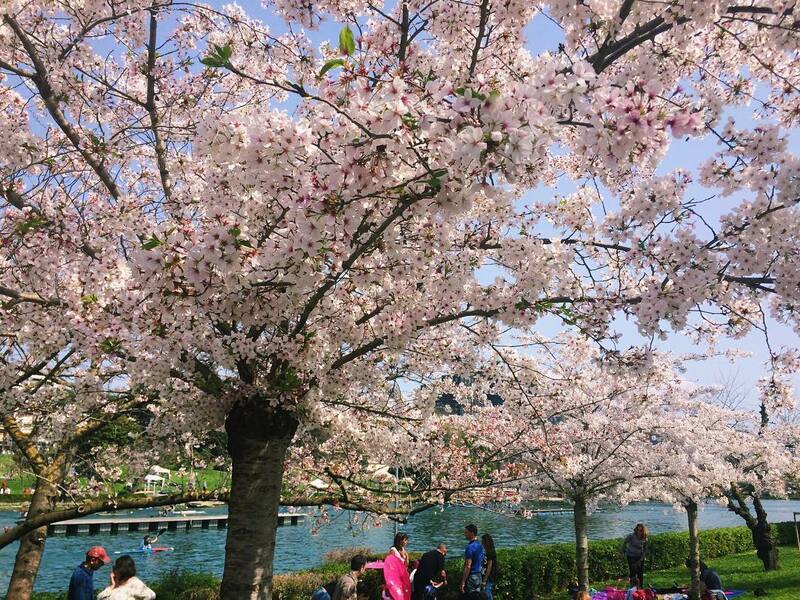 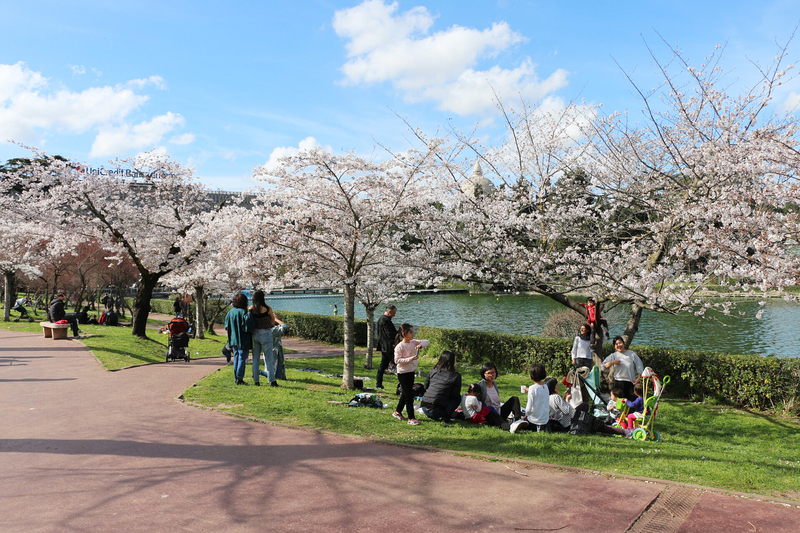 Parco del Lago di EUR features an artificial lake, one of the highlights of the area, where in Spring sees the lake bursting with color as the cherry trees lining the banks, donated by the city of Tokyo in 1959. 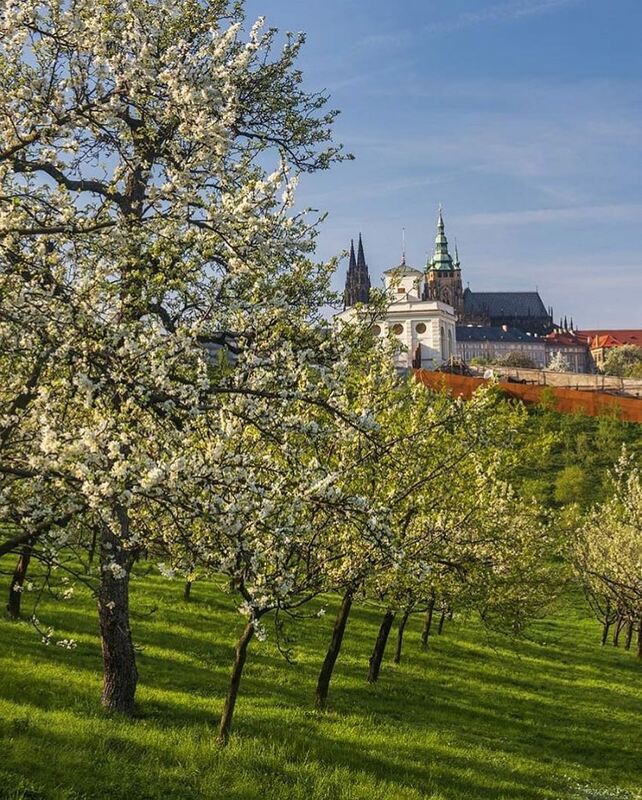 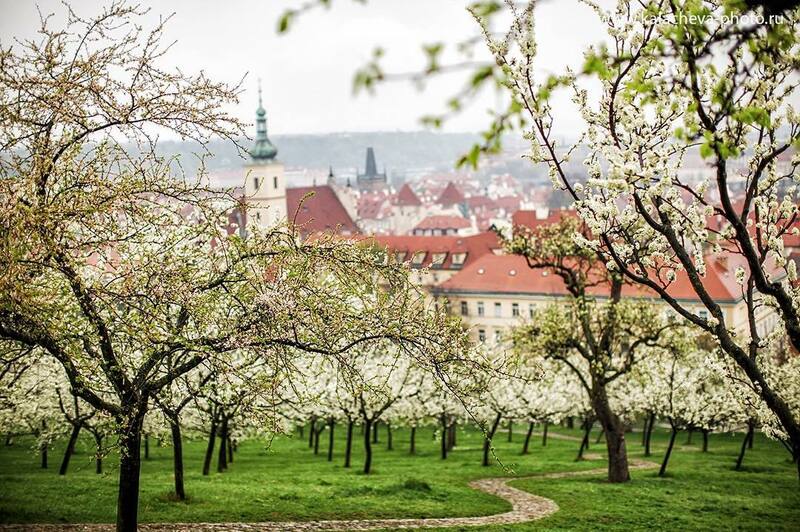 Petřín Hill, is the place to go and relax under a blooming cherry tree during a clear spring day.It is also the perfect place to capture the wonder of Prague via your camera. 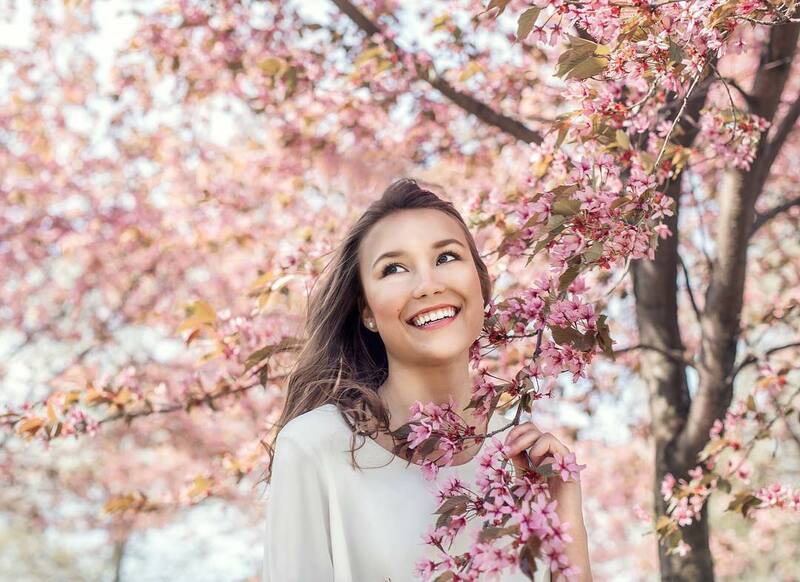 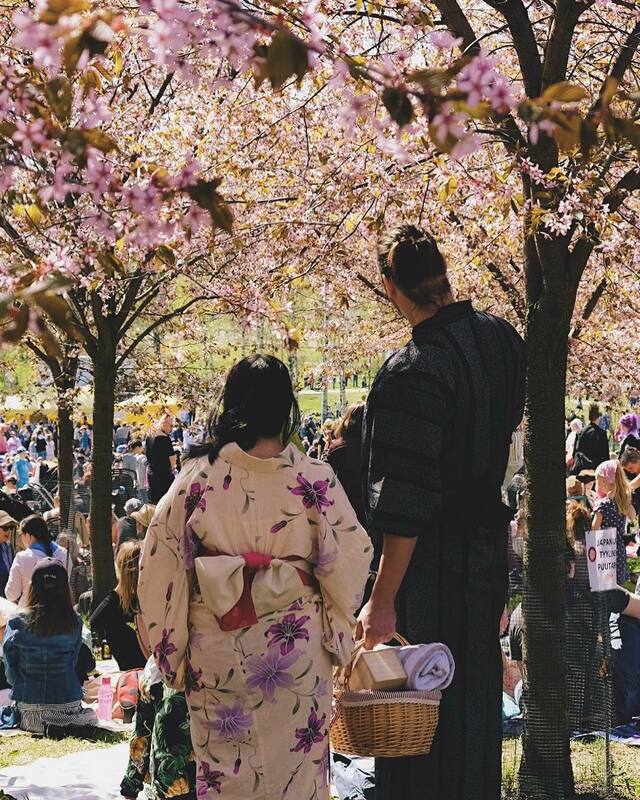 The importance of Cherry Blossom festival is tied to the Buddhist themes of mortality, mindfulness and living in the present.Blooming season is powerful, glorious and intoxicating, but tragically short-lived — a visual reminder that our lives, too.